Councilman Shannon Hayes was elected to the City Council on March 12, 2013 and was sworn in to office on April 1, 2013. A Second Generation member of the City Council, Shannon follows the leadership of his father, Sam, who served the City of Crestview for many years. Shannon currently serves as Council Chairman. He is married, has three children and four grandchildren. His background information reflects a Bachelor of Arts Degree in Music from Bethune-Cookman University. He also holds certification and training in EEU Investigation, Time Management, Customer Relations and Computers. His 32 years experience in Retail Management for the Army and Air Force Exchange System (AAFES) reflects extensive experience in Budgeting, Human Resources and Planning. 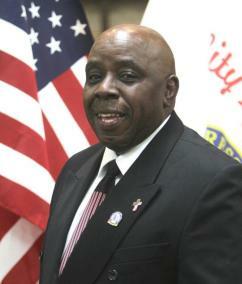 As the Northwest Florida League of Cities "Municipal Official of the Year" for 2015, Hayes is a very active leader in the community and spends his service time representing Crestview at the Florida League of Cities functions (county and local boards); a board member of the Okaloosa County Gas District, Okaloosa County Head Start, the Enterprise Zone; and Crestview Community Redevelopment Agency. Volunteer hours and experience continue to accumulate while Hayes serves as an AARP Tax Preparer, Okaloosa County Polling Clerk, Okaloosa County Carver-Hill Memorial and Historical Society, Men's Sunday School Teacher at Macedonia Missionary Baptist Church; Pianist/Director - Community Choir and Pianist for Youth, Male, and Mass Choirs.